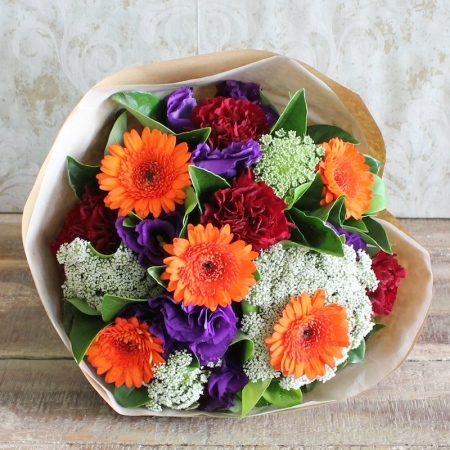 A collage of vibrant purple,orange & burgumndy blooms create this eye catching posy. Wrapped in the simple, organic brown kraft paper this posy is a great gift idea for any occasion. Another perfect addition to our ECO Collection. Order online or by calling our friendly team on 02 9871 1666.